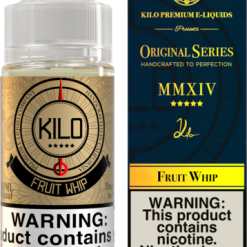 The line has grown to a full complex collection of 5 distinct flavour profiles born under the kilo legacy; each flavour coveted by a new breed of evolutionary influences. With quality always preceding quantity, the brand continues to grow methodically while exceeding expectations with craftsmanship to the last drop’ garnering us awards for many achievements. Today, the stability of the company is constructed around five fundamental values cultivated by the founders: Passion, Integrity, Sophistication, Creativity, and Patience. As industry leaders, we will continue to provide superior levels of quality to enhance the standard even among all others. Our passion guides our pursuit of perfecting and meticulously crafting each blend seamlessly with balance and harmony. 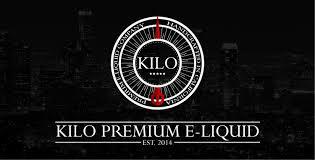 Through the years, Kilo E-Liquids has surpassed technical and theoretical limits to meet the ever growing demand for sophisticated flavours. True artisans, we boldly sculpt and revolutionize with an industry that is constantly evolving and creating boundaries, only to surpass them.